From being able to write off virtually all mortgage interest, not only for your primary home, but for a second home as well — up to $1.1 million of debt (when you include home-equity loans) in most cases, to being able to write off your property taxes, homeowners have opportunities for dozens more federal income tax deductions than renters. In fact, only 21 states and the District of Columbia offer renters any kind of tax breaks or credits — generally credits for property taxes. Americans took $68.5 billion in mortgage interest deductions (MID) alone in 2012, according to the Congressional Research Service (CRS), saving Americans who owned homes about $1,900 a year, on average. This is particularly beneficial to first-time home buyers whose early monthly payments in a 30-year loan are mostly only interest. About half of American homeowners took advantage of the MID in 2012, the CRS said. What about the other half? Well, according to the CRS, they already paid off their homes or the mortgage interest deduction was less than the standard tax deduction. 1. Points on home mortgage and refinancing: If you bought a home in 2014 with a mortgage, then in addition to the mortgage interest (which may not be a lot if you bought late in the calendar year), you can probably write off the points (both origination and discount points) on your tax return, says Jackie Perlman, principal tax research analyst at H&R Block (HRB). One point is equal to 1% of the principal loan amount. That’s because the IRS considers points to be prepaid interest. The challenge is whether you’re eligible to deduct the points all at once, or whether you have to spread the costs out over the life of the loan. Generally, if you bought your first home or got a loan on that first home, you can take the deduction all at once, the IRS says. For a second home, and often for a refinance on a first home, the IRS says you most likely have to spread it out. “You have to meet all the criteria in order to deduct them up front, otherwise you have to amortize them over the life of the loan,” she said. 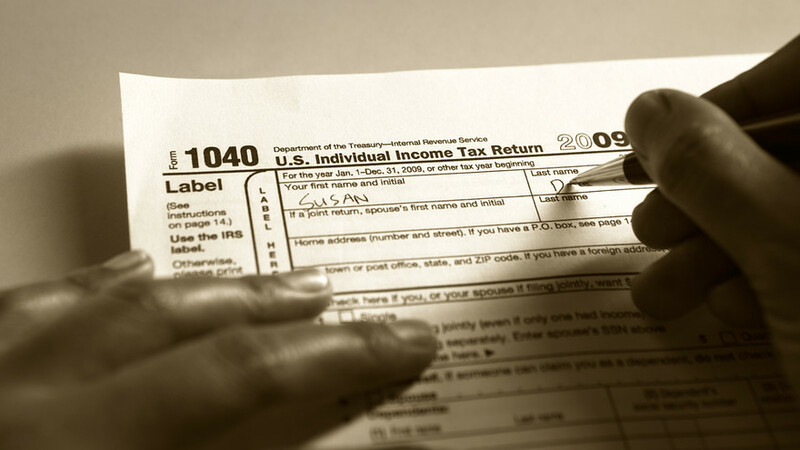 A good place to start, she says, is the IRS Tax Information for Homeowners guide. 2. Interest on home-improvement loan: The IRS considers the interest on a home-improvement loan fully deductible, up to $100,000 in debt. In addition, interest paid on a home equity line of credit (HELOC) is also tax-deductible. However, as Greg McBride, chief financial analyst with Bankrate.com, notes, any portion of a home loan that is over 100% loan-to-value (meaning the loan is worth more than the value of the property) isn’t deductible. 3. Property tax: Property taxes are almost always tax-deductible, but some things on your settlement document that might look like taxes really aren’t, says McBride. You can’t write off your attorney and appraisal fees, title insurance and credit report costs either, McBride notes. Transfer taxes however can be written off, says Gregory. 4. Energy-efficiency tax credit: If you made efforts in 2014 to make your home more energy efficient by installing equipment like storm doors, energy efficient windows, insulation, air-conditioning and heating systems, the IRS wants to give you a tax credit of $500, though only $200 of that can be used for the windows. The credit however is set to expire on Dec. 31, 2016. 5. Renewable-energy tax credit: If you’ve installed equipment that uses renewable sources of energy, such as the sun and wind, to help power your home, you may be eligible for the Renewable Energy Efficiency Property Credit. You are eligible for this tax credit up to a whopping 30% of the cost of the equipment, installation included, so long as the equipment is placed in service by the end of December 2016. About 600,000 American homeowners have added residential solar equipment since 2010, according to the Solar Energy Industries Association. 6. Ground rent: There are rare situations in the U.S. for homeowners where the original owner still owns the land under your house after you’ve bought it, and you own the aboveground property and “rent” the ground from the owner. The “ground rent” option reduces the cost of the home since you’re not buying the land. The IRS lets you get a break for this situation and thus “ground rent” amounts can be deducted if you have been paying the rent monthly or annually, so long as the lease is for more than 15 years. However, if you’re making a payment to capitalize the ground rent, to buy out the lessor’s interest to get out from under it every year, that payment isn’t deductible, the IRS says. 8. Private mortgage insurance: You may be eligible to claim the deduction for private mortgage insurance (PMI) or mortgage insurance premiums on your tax return, though the 2014 tax year is the last year the deduction can be taken. Keep in mind that the deduction for qualified mortgage insurance premiums is reduced if your adjusted gross income (AGI) is over $100,000, and if it’s over $109,000 you can’t take the deduction at all. And you won’t get around that limitation if you’re married and filing separately, as the deduction begins to be reduced at $50,000 in AGI and disappears at $54,500. 9. Home expenses and improvement: If you make improvements to your property, you cannot write off the cost of home improvement, such as the materials and the labor. (Though you can write off the interest of course if you took out a home loan to pay Joe Contractor and purchase the materials.) However, when you sell your home, you can add the cost into the asking price of your property, which should diminish the capital gain when you sell your home, says Gregory of 1040Return.com. 10. Buying a home: The IRS allows first-time home buyers to withdraw up to $10,000 from their traditional IRA (and even Roth IRAs) penalty-free to help with the purchase of the home. Your spouse or even a parent, child, or grandchild can kick in another $10,000 from their IRA accounts, for a total of up to $20,000. You can also borrow half of your 401(k) balance up to $50,000 for the purchase of a home. But, the interest you pay on that 401(k) loan, unlike a mortgage loan, isn’t tax-deductible, notes Perlman.